Since there isn't any for Kansas I figure I would build something for the state. I know there isn't much in the Kansas climbing wise, but what there is we need to help pass knowledge so climbers in KS don't feel completely hopeless. It's all about progression! I've been putting up locations now you only need to get out there and build up the routes! 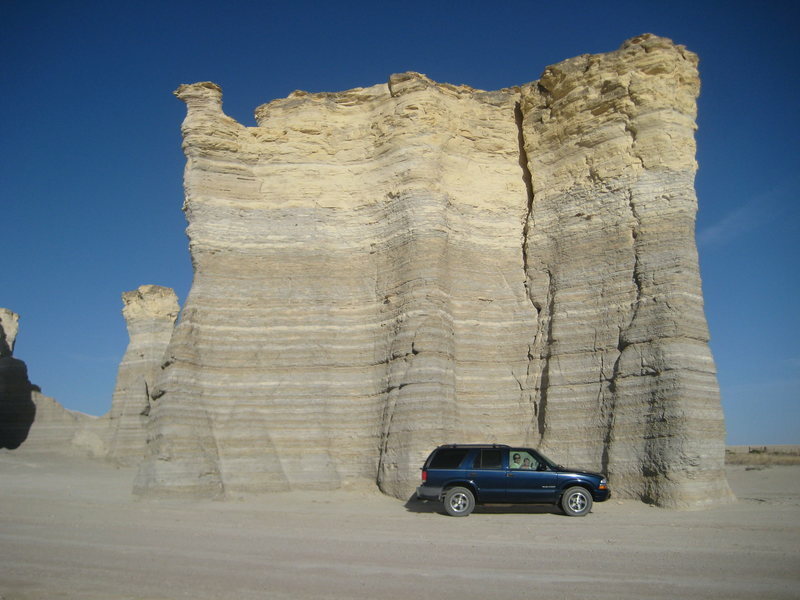 Deep water soloing in KS? Stretch your legs and keep your climbing skills sharp on your way to bigger things. Just 20 minutes north of I-70, Rock City is a National Natural Landmark that is always open. 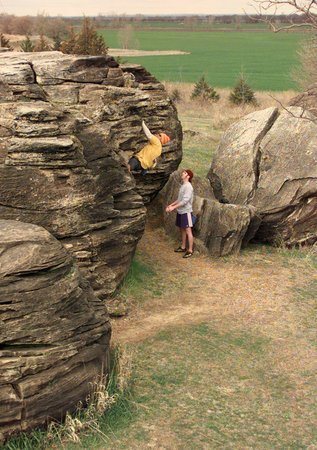 Discover Rock City, a National Natural Landmark just 20 minutes north of I-70 on U.S 81 Hwy north of Salina, KS. 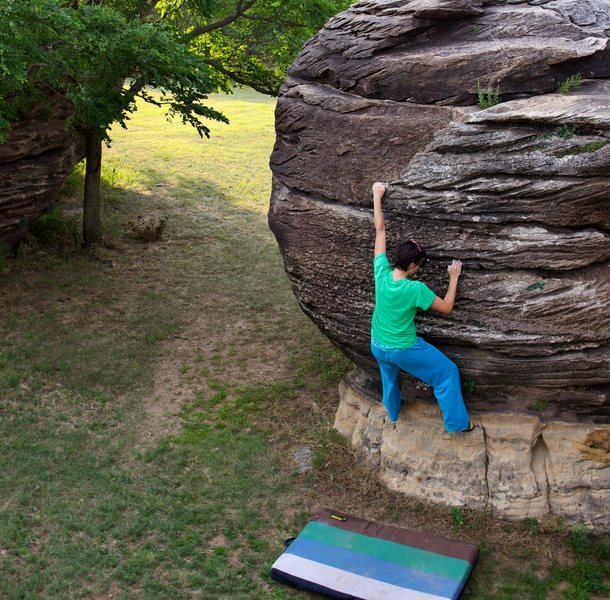 A great stop for climbers and kids of all ages, Rock City has been a favorite picnic stop for geology buffs and vacationers for over 100 years. There's dozens of rocks worthy of climbing, dozens more to marvel at. These concretions were formed millions of years ago and are preserved by the non-profit Rock City, Inc volunteers for your enjoyment. Nature trail, picnic shelter, primitive restrooms and gift shop on the premises. Cheap camping with electricity and water in Markley Grove Park, the riverside city park in Minneapolis just 3 miles north of Rock City. 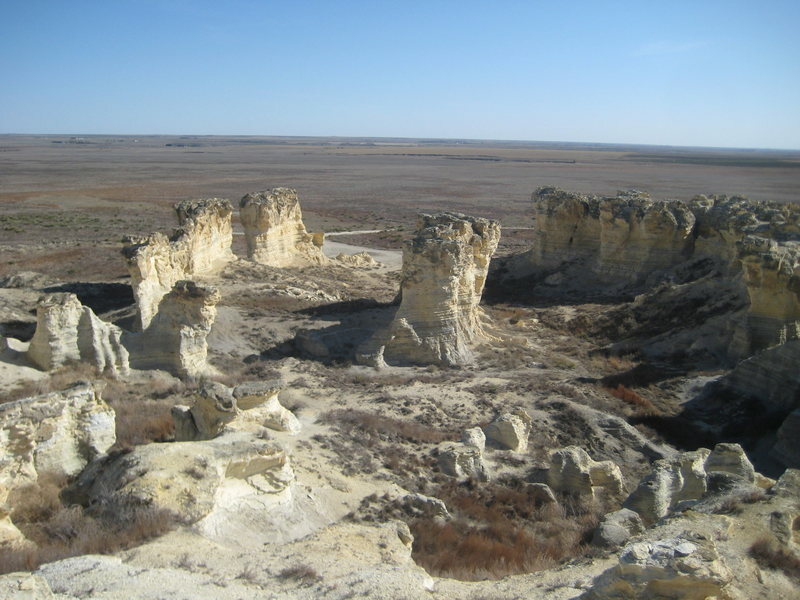 Monument Rocks and Castle Rock are kind of a soft chalky formation that aren't well suited to climb because of their makeup. You could get a little climbing at either place but be prepared for holds to break. I have been to both and they are impressive for Kansas. If you are ok with doing some scrambling I would suggest going closer to Castle Rock. 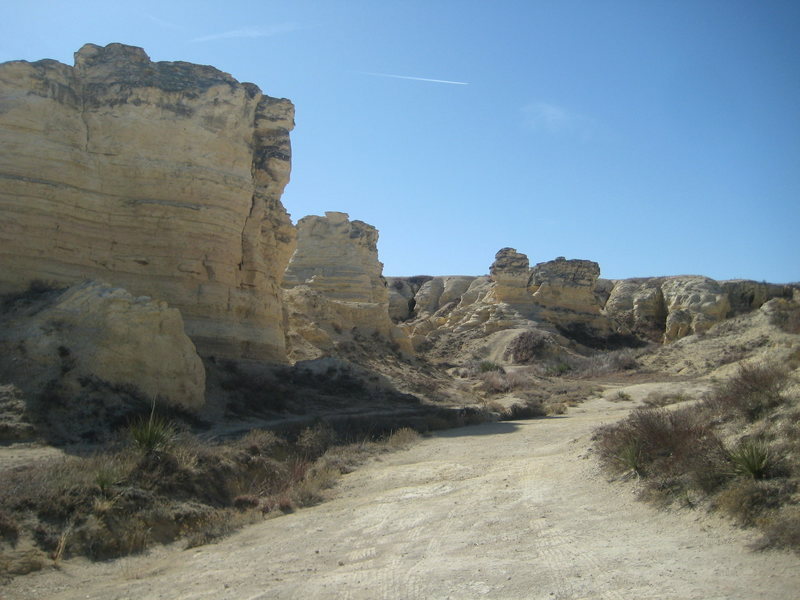 It has a mini badlands next to it that is fun to explore. Also, be aware that the property recently changed ownership. I am not sure what his/her rules are about visitors now. 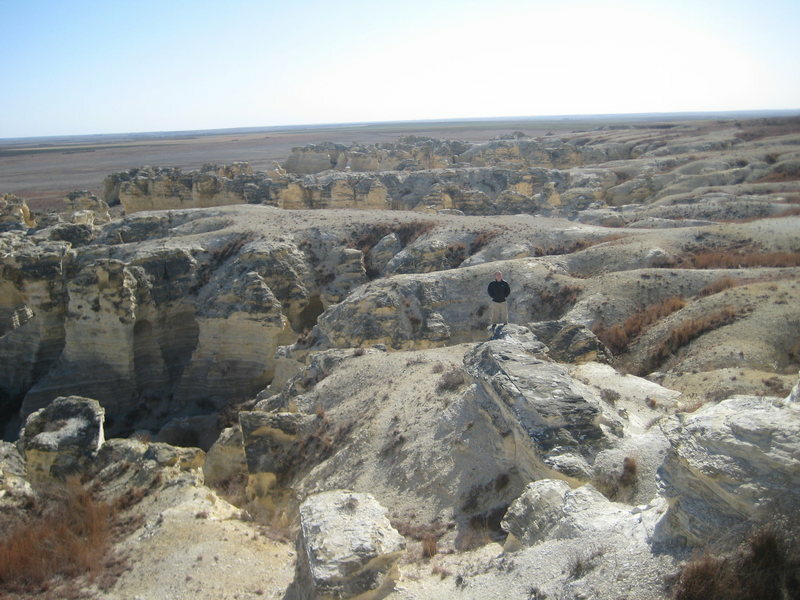 Size comparison of the badlands. 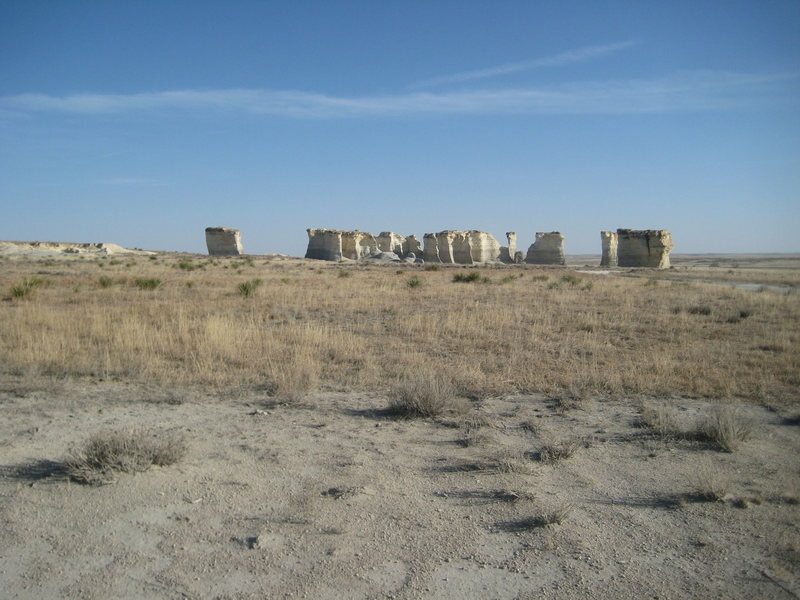 Monument Rocks from a distance. Size comparison using my Chevy Blazer.